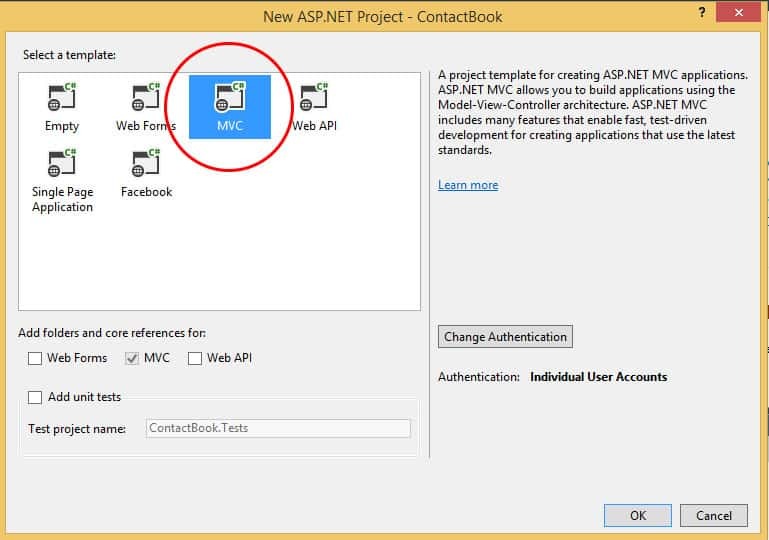 In this lesson,I will show you step by step tutorial to Create Asp.net Mvc Application in visual studio 2013. 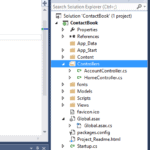 With few changes in these steps you can create the application in other versions of visual studio. 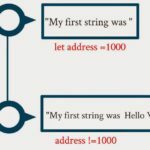 Select Web Under Visual C#. 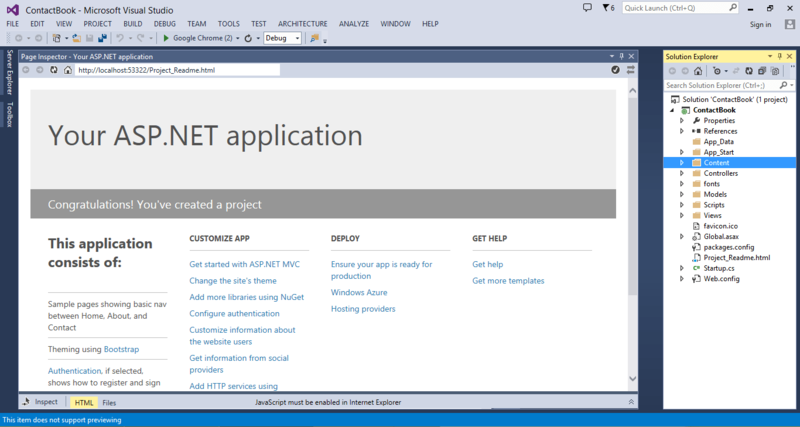 We are going to Create Asp.net Mvc 5.0, So Make Sure that .Net Framework 4.5 Or higher version of .Net Framework is Selected. 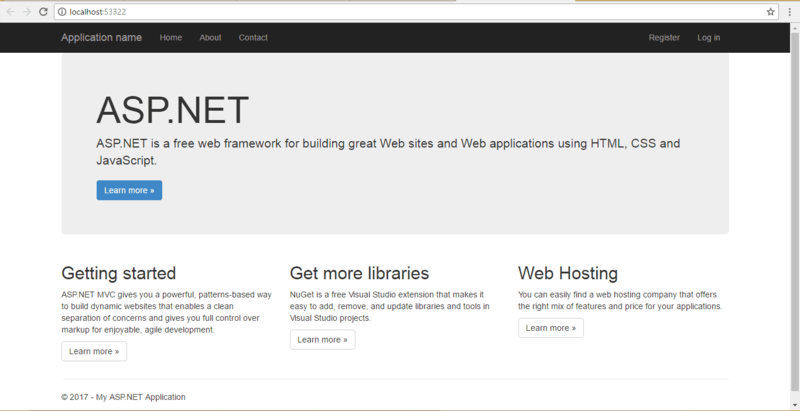 Select ASP.NET WEB APPLICATION. Name your application, I will name it as ContactBook. Click on OK. 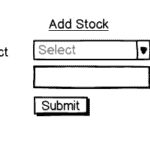 Select Mvc Template, Keep the other options as it is. 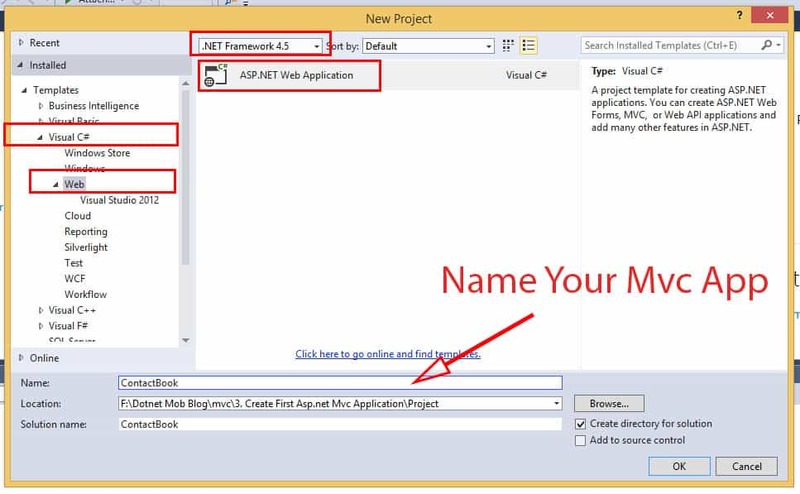 Then Click OK.
Now you have a brand new Asp.Net Mvc application. This mode is for debug purpose, Break point works only in this mode. Press Ctrl + F5 Or Go to DEBUG > Start Without Debugging. For now, Run Application without debug mode. Then it will open the application in browser new tab. Application URL will be localhost:portnumber in my case it is localhost:53322. If you change URL to localhost:53322/Home/Index, You can see the same view, because it is the default URL or View. We will discuss about default URL and URL routing in Mvc in upcoming chapters.